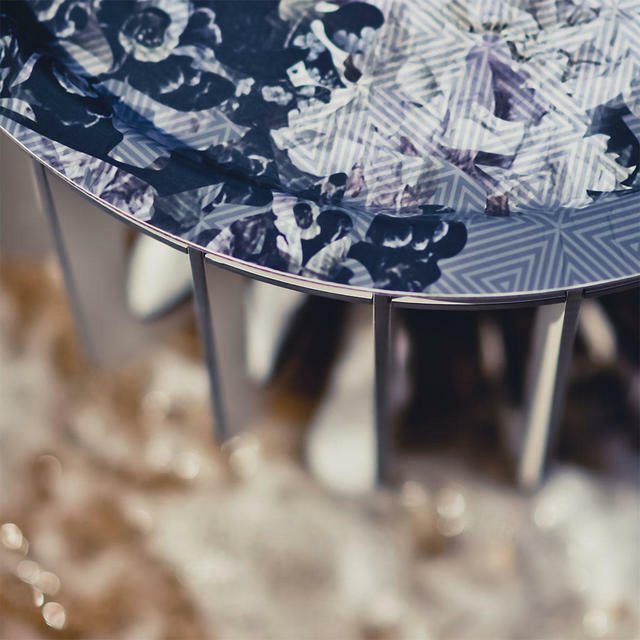 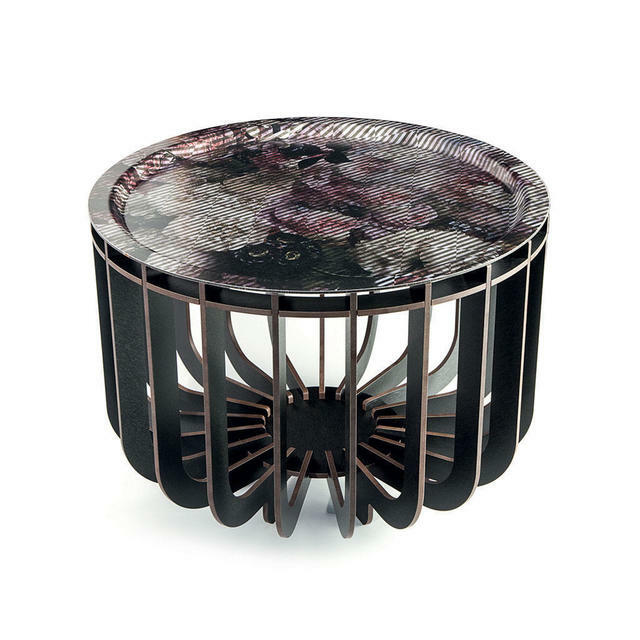 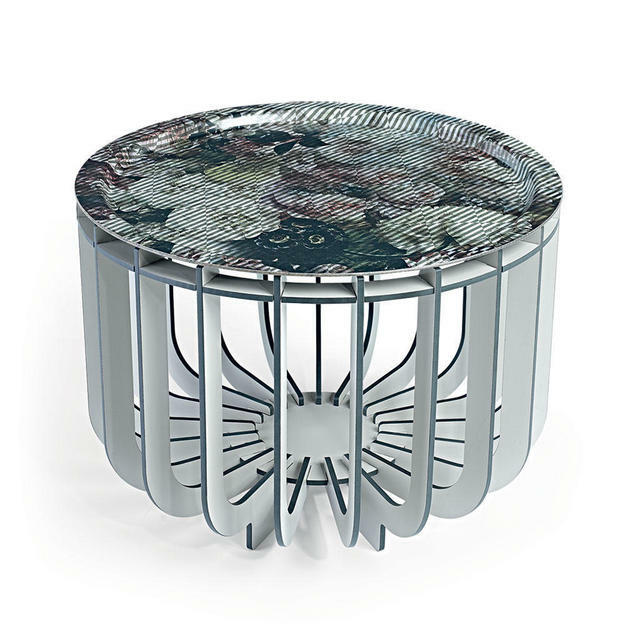 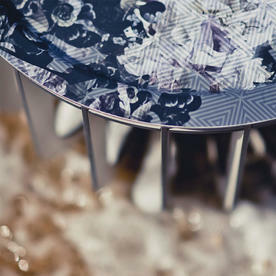 Medusa coffee table with removable tray is designed by Benoit and Rachel Convers. 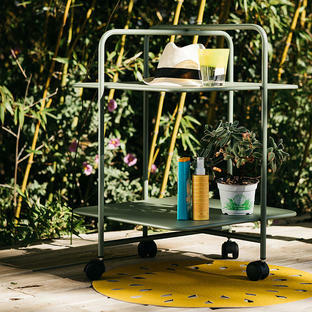 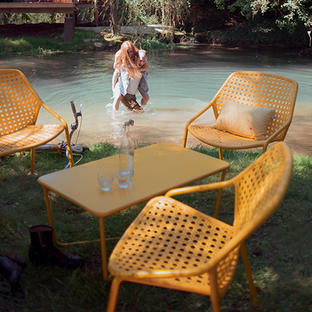 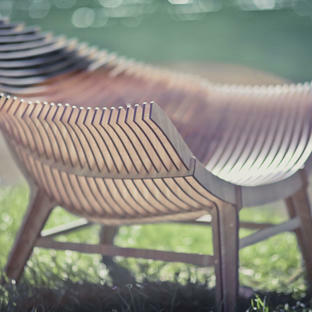 The Ibride collection of outdoor furniture is stunningly different and stands out from all other collections. 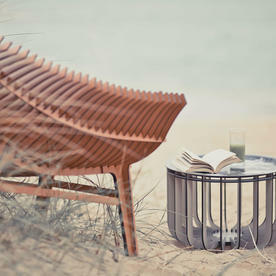 The furniture made from HPL (high pressure laminate), lets the light through, similarto louvred shutters. 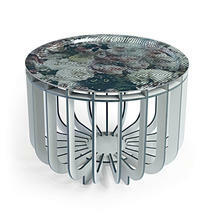 The coffee table is made of an openwork base, topped with a detachable tray, allowing you to serve and clear with ease. 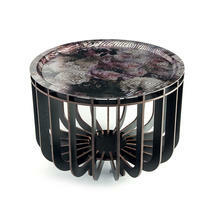 The floral design on the HPL tray features blousy cabbage roses in soft pinks and creams on a deep dark background. 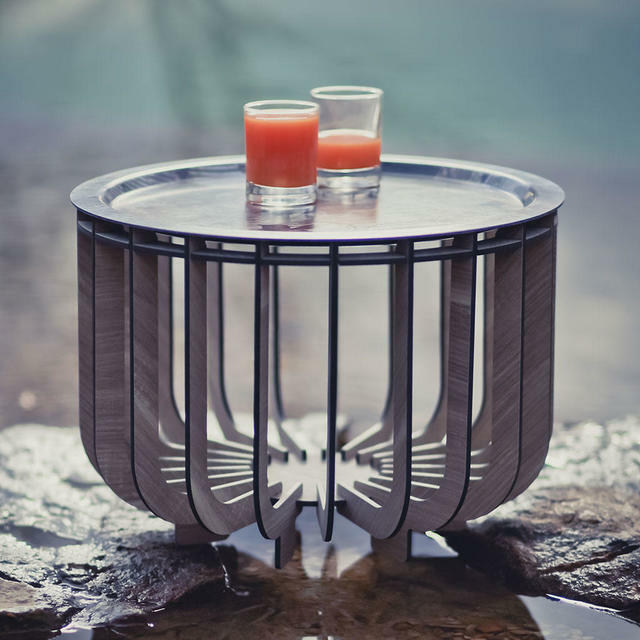 The table comes flat packed but is easy to assemble with full instructions provided.